During the years after the second worldwide war just ended , Angeloni’s family start up its business mainly based on its great expertise , strong character as well as resourcefulness. 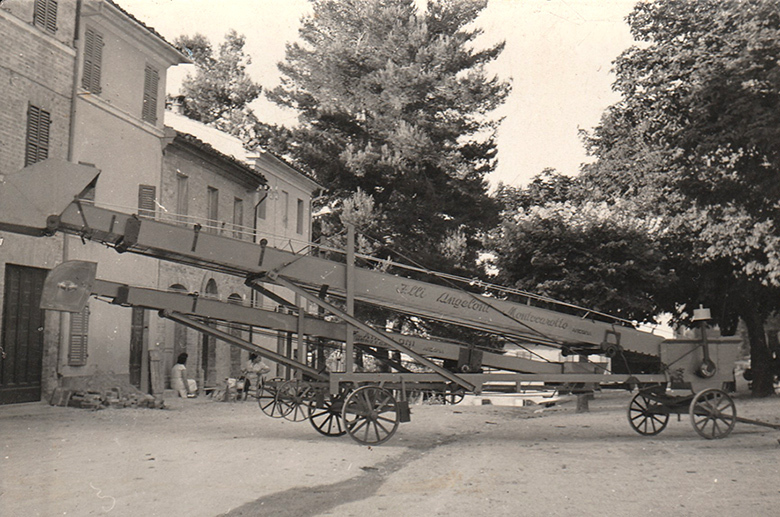 The activity begins by the repair of agricultural implements then in use , focused on the first threshers After this step very soon it going on from the repair to the production in series of components and accessories suitable for these complex equipment’s : wheat feeders , straw stairs and chaff stairs . Into a hopeful Marches scenario, Angeloni is able to diversify is offer , increasing and answer to the different requests in various agricultural sector like wine yards and breeding . The new production include winepress; crushers for grapes ; agricultural trailers and forage mulchers . 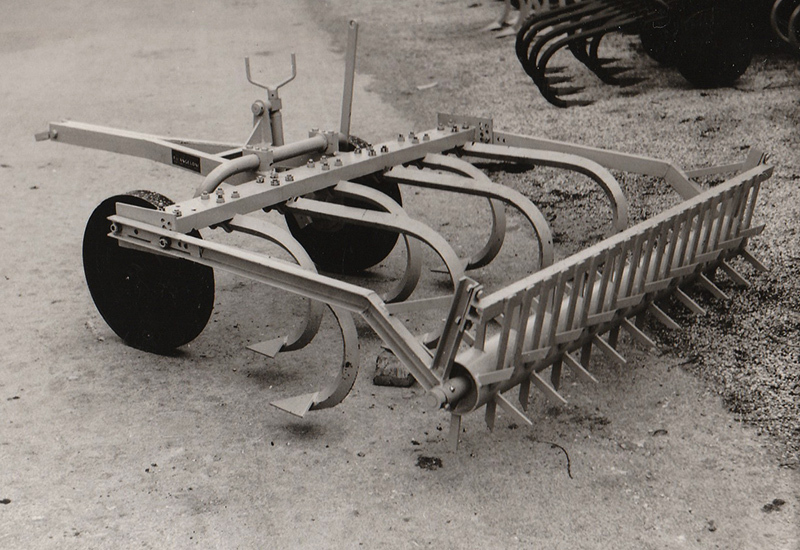 Years ‘ 70 provided an important up to date in the production processes, also into the agricultural sector. 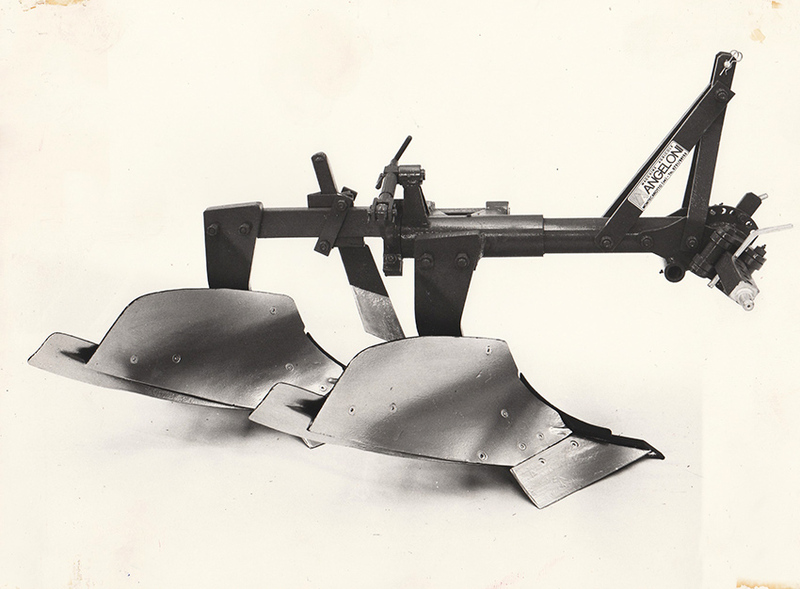 The threshers have been gradually replaced by the Harvests : very innovative implements as well as very efficient but unfortunately not suitable for Center of Italy . Angeloni is the first Company in Italy able to manage this difficulty, providing up to date solutions to solve the problems that penalize these machines in making their work on the slope lands . Thanks to the introduction of the hydraulic self levelling and brakes for Harvests , the safety of the operators and the efficiency of the works made . 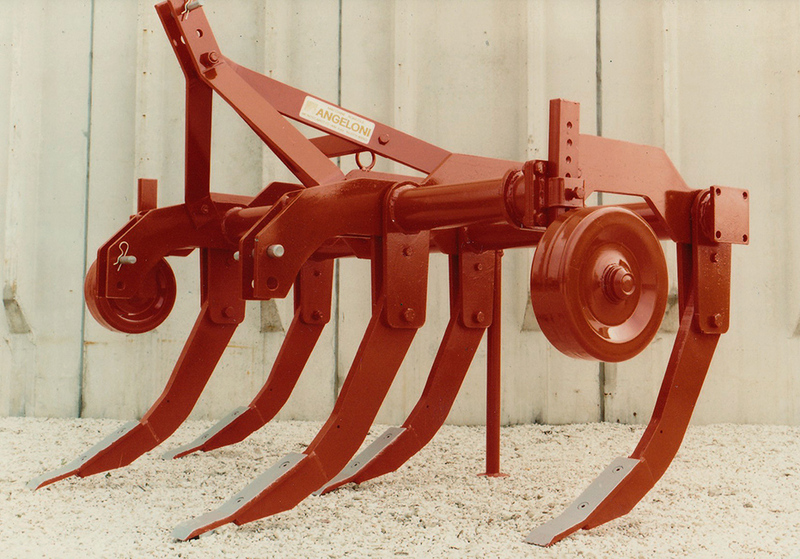 A new generation arrives in Angeloni with great ambitions : by a dynamic footprint , it is able to up grading the production up to complete agricultural implements for the working of lands . 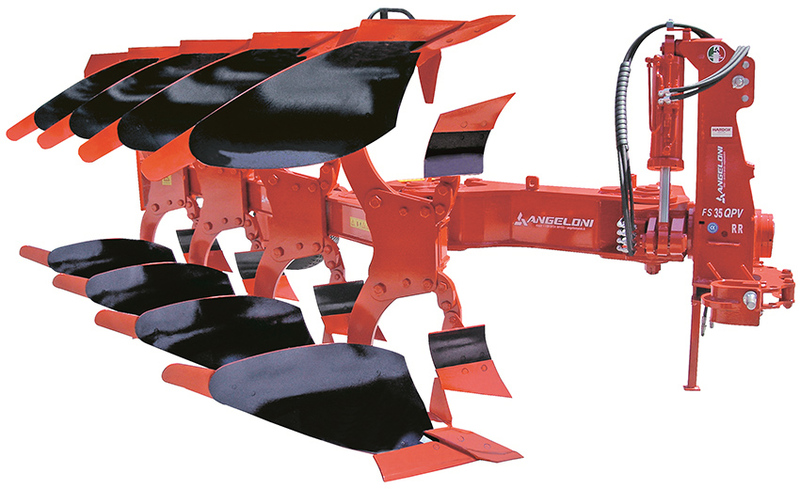 This is considered the turning key for Angeloni , that is definitely considered as a manufacturer for agricultural equipments for the land preparation . With a strong enthusiasm, it starts the achievement of extra regional markets up to cover gradually all the domestic market, by a capillary detailed dealers. Up grading of the plant and configuration in Angeloni srl . By the new headquarters , is expanded the range of lines by the introduction of the handling machines like ( front loaders – bulldozers – front linkage ) The prices list is expanded by new and different solutions and technical novelties . The Company stands out for the innate capacity to adapt to the different needs of the agricultural sector . The great experience had , allows Angeloni to develop technical design , mainly concentrated on the craftsmanship. A strategically vision that has been concretised by a prestigious award of “ Technical up to date of 2008 Year “ , during Eima Internaitional Fair for BLUCOMBI Cultivator .